"Shop till you drop at the Centre:MK, only a 6 minute walk away." Our Milton Keynes at The Hub hotel is located in the heart of Milton Keynes, in the city’s vibrant business and retail district known as “The Hub”, where you will find a wide variety of restaurants and bars on your doorstep. Perfect for a business stopover or a leisure break, the immediate area offers several shopping and entertainment choices including Thecentre:mk and Intu shopping centres - both within easy walking distance from the hotel. You’re also well connected with good transport links - Central Milton Keynes train station is less than half a mile away, and the hotel is less than four miles from the M1 and Milton Keynes Coachway. All rooms feature a comfy king size bed with four plump pillows and a cosy duvet. Guests can enjoy a wide variety of food and drink choices within a short distance of the hotel. Our on-site restaurant and bar serves breakfast and tasty evening meals. 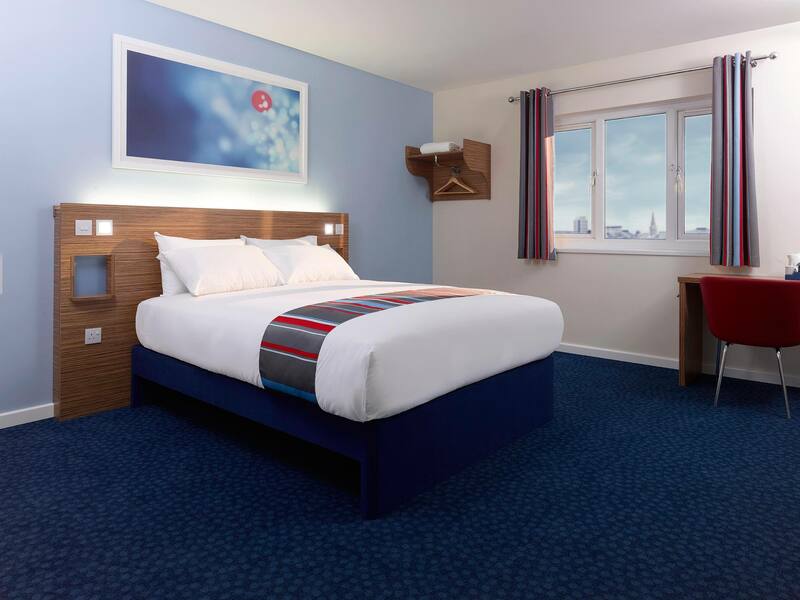 From the North, East & South, the Travelodge is approximately 3.8 miles from J14 of the M1. Exit the M1 at J14 and follow the signs for Central Milton Keynes. At the 1st roundabout, take the 3rd exit onto the A509 (H5 Portway), signposted for Central Milton Keynes. Continue on the A509 for 3.2 miles, straight over 7 further roundabouts. At the 8th roundabout, take the 1st exit onto Witan Gate. Continue straight through the first set of traffic lights and then turn left at the next lights, onto Midsummer Boulevard. The Travelodge will be immediately on your right. From the West, the Travelodge is approximately 1.3 miles from the A5. Exit the A5 at its junction with the A509 (signposted Milton Keynes Central & East). At the roundabout, follow the signs for the A509 Milton Keynes Central & East onto the H5 Portway. Continue on the A509, straight over the next roundabout (the North Grafton roundabout). At the next roundabout take the 3rd exit onto Witan Gate. Go straight through the first set of traffic lights and then turn left at the next lights, onto Midsummer Boulevard. The Travelodge will be immediately on your right. Limited free parking is available at the car park opposite the hotel, on a first come first served basis for the night of your stay. If available, these spaces are free from 3pm on the night of your stay up until 12pm the following day. 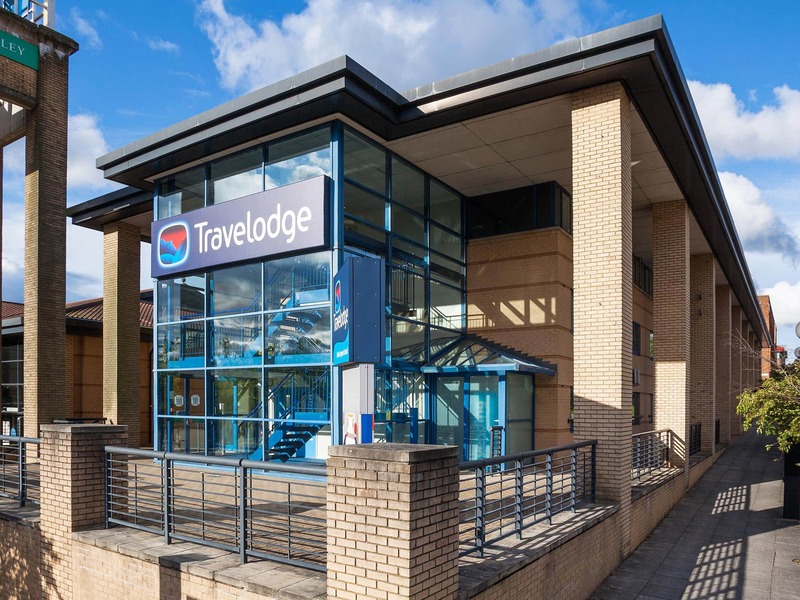 Travelodge guests who require parking, can obtain a parking code at reception, subject to availability. On arrival, please pull into the bay outside the hotel on Cresswell Lane. Alternative pay and display parking is available on Midsummer Boulevard. Address: C3-1 (Standard Tariff Zone), Midsummer Boulevard, Buckinghamshire, Milton Keynes, MK9 2EA.